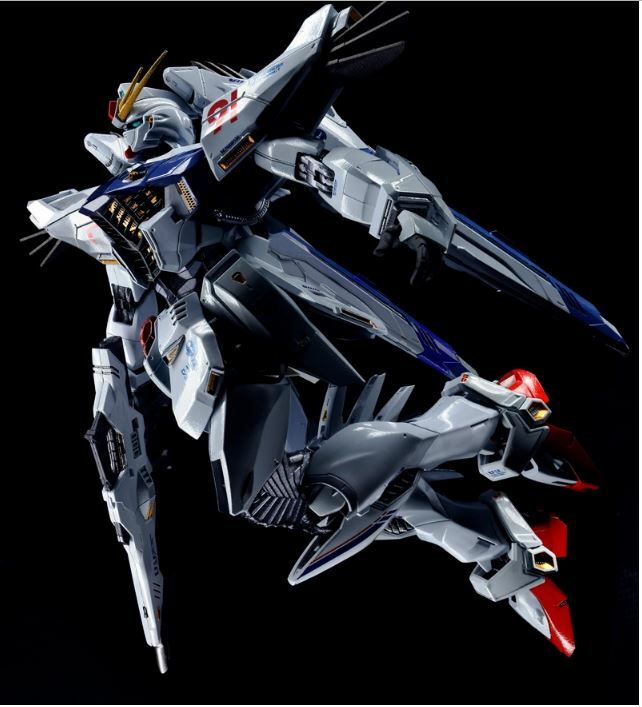 Bandai has released more photos of Metal Build F91 Gundam, from the Gundam movie of the same name, which is planned to be released early next year. This figure first appeared at the 56th All Japan Model Hobby Show and has generated lots of buzz among gunpla enthusiasts who want this (like me). The above image is my favorite from the set. Until then, I’ll keep you posted with any updates! Bandai Namco have added a brand new original unit to the Maxi Boost On roster, Extreme Gundam Excellia. 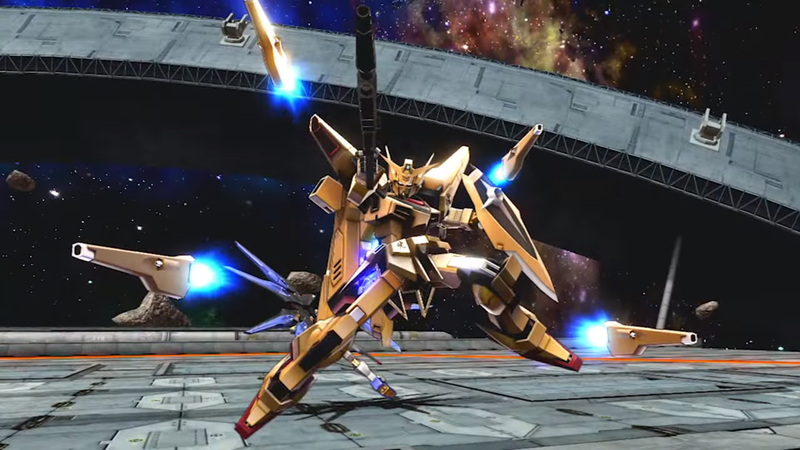 This unit is comes from the Gundam EXA universe and piloted by Sthesia, who you might know as the main navigator of the series. Excellia looks to be a pretty solid long range unit with gerobis, funnel-like beams, and AoE blasts. Considering its variety of attacks and health, it looks to be at least a 2500 cost unit. And if you aren’t lucky enough to play this in Japanese arcades but have Extreme VS Force, this unit will also be appearing in the 1.04 update coming some time in the near future. Until then, check out some Excellia gameplay in the video below! While previously teased on banners before the game’s official release last month, it looks like AGE-FX is finally joining the rest of the cast in Gundam EXVS Maxi Boost On. As a 3000 cost unit, AGE-FX will definitely lay on the hurt with its arsenal of flying bits and porcupine-esque melee action. To help give it a bit more variety, AGE-FX can call on AGE-2 Dark Hound and the AGE-1 Full Glansa for various types of defensive and offensive assists. 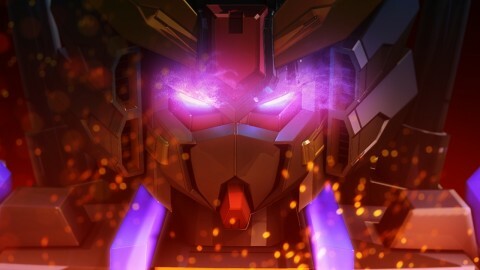 It also looks like it has somewhat of a mobile armor movement with AGE-FX hanging onto AGE-2 Dark Hound. There are also the C-Funnels for funnel hounding and the FX-Burst mode that improves your melee and movement capabilities. If you’re lucky enough to live in Japan and next to a game center, definitely give it a whirl and let us know how it stacks up to the rest of the cast. If not, you’ll just have to check out the video below! 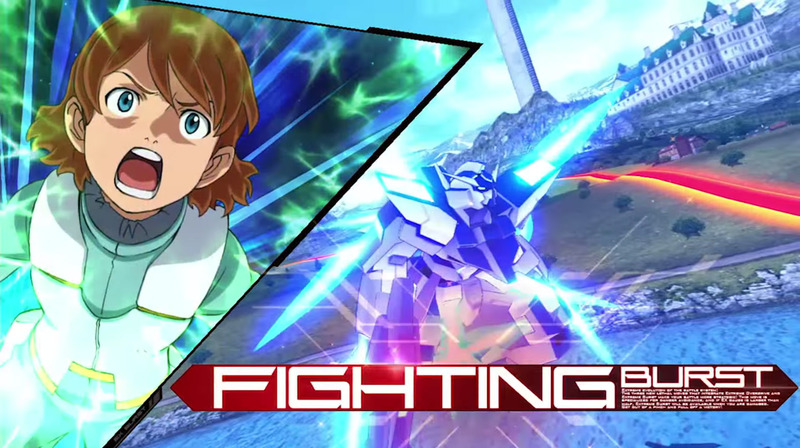 Looks like we have our first individual mobile suit gameplay trailer for Gundam Extreme VS Maxi Boost ON! It features the Mack Knife from G no Reconguista. As a 2000 cost mobile suit, it looks to have many tools with mid-range stuns, a mobile armor mode, and grappling hooks to pull enemies in for some close range shenanigans. 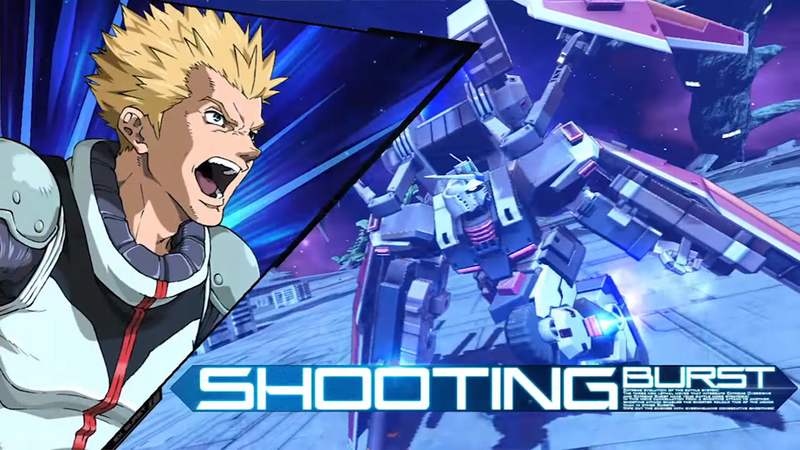 The unit will also be released on Gundam Extreme VS Force as part of the co-collaboration between the two games on March 9th. Perhaps we’ll see more units from ON come to Force in the near future as well. Until then, check out the gameplay video below! For those of you lucky enough to be living in Japan, the month of March will be exciting for Gundam VS fans over there. 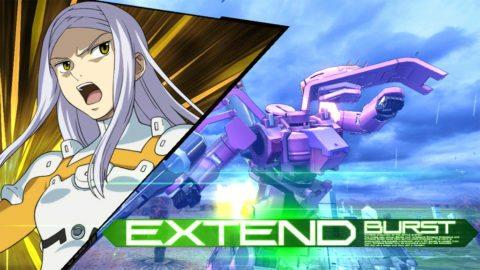 At the recent JAEPO expo, Bandai Namco have officially announced that Gundam Extreme VS Maxi Boost On will be released on March 9, 2016. 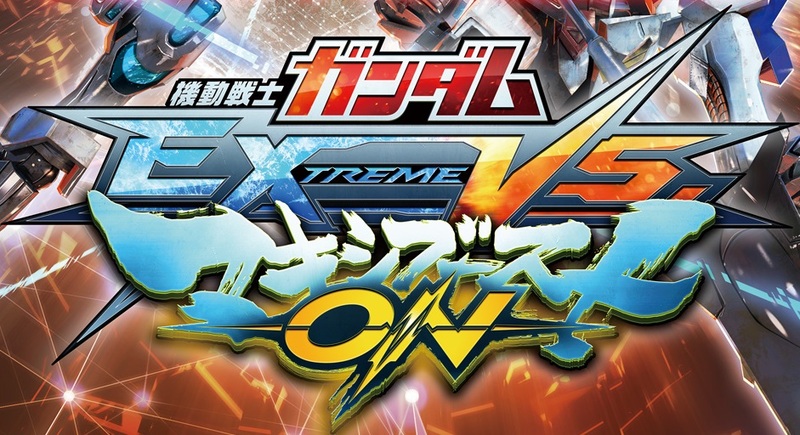 As the latest version of the Extreme VS series, there will be the usual new suit additions, move changes, and game mechanic changes from the previous version. 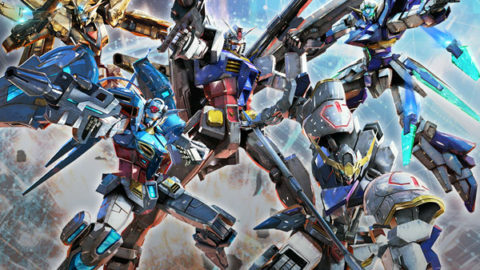 New to the fray are the G-Self, AGE-FX, Akatsuki Gundam, and Gundam Barbatos. 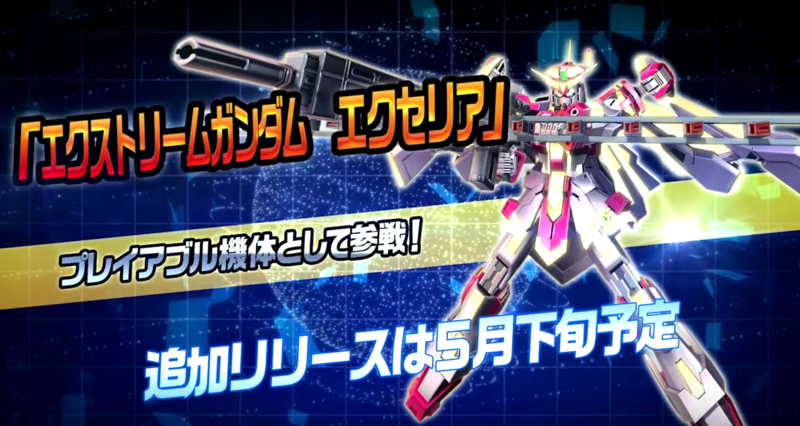 There also appears to be a pink Gundam with a peacock smasher-like in the opening movie, which is probably from Gundam EXA. There are also three new bursts to choose from which replace the Drive system from Maxi Boost. Fighting Burst improves your melee capabilities, Shooting Burst improves reload speeds and allows you to cancel shooting attacks into each other, and Extend Burst allows you to escape attacks at half meter. There are over 160 units in the game as well! As for everyone else that doesn’t have access to an arcade in Japan or Asia, we can only hope they announce Maxi Boost for the consoles soon after Maxi Boost On is released. Until then, check out the opening video and first PV below! 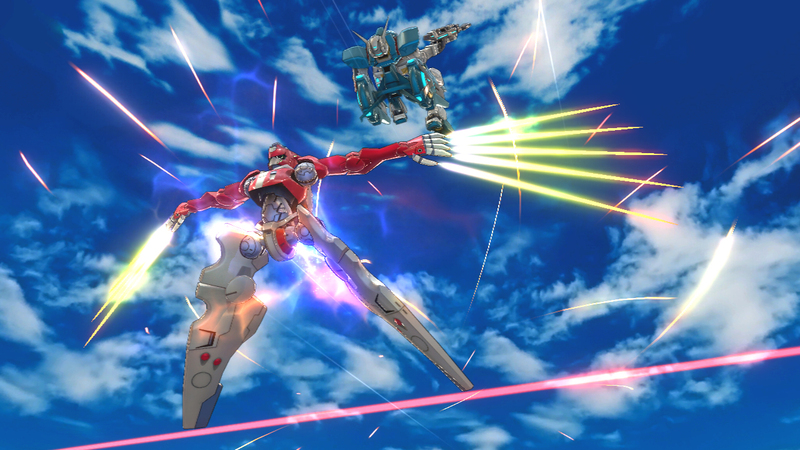 The teaser site for a new Gundam Extreme Versus Maxi Boost game went live today and it reveals an update to the game in the form of Gundam Extreme Versus Maxi Boost On. What’s more there will be locations occurring in Japan over the weekend. 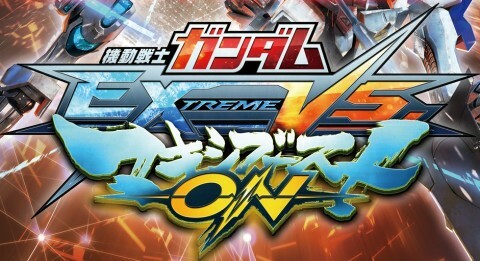 Interestingly, the game also includes both the G-Self and Gundam Barbatos that will be present in the upcoming PS Vita game Gundam Extreme Versus Force. In addition, the game will also include a new Extend Burst mode to the already existing Shooting and Fighting types. No word on an arcade release but considering the timing of the location tests I am guessing it will be out before the end of the year here.